The service night of 4th April 2000 has been exceptional at TNG from the image quality (IQ) point of view. After a careful set-up of the active-optics system the seeing measured on the Optical Imager (OIG) images never exceeded 0.7 arcsec all night long (at least until clouds came and covered the sky) and a number of 900s exposure images showed seeing around 0.5 arcsec. In 10s and 30s exposures we measured a seeing as low as 0.38 and 0.40 arcsec respectively! 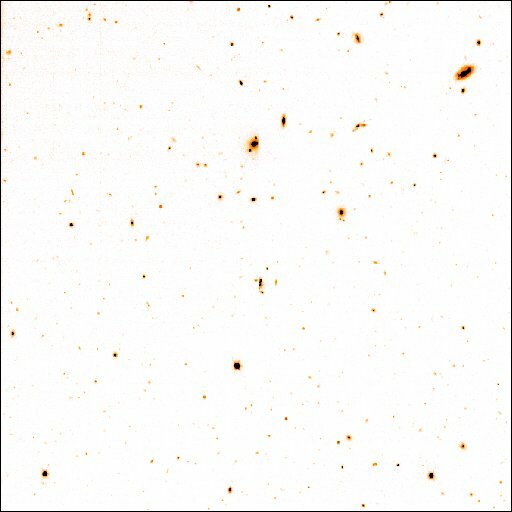 As an example of the very good IQ obtained at TNG during this night we present a 900s image taken trough Gunn r filter on a scientific field, with an average seeing of 0.46 arcsec. 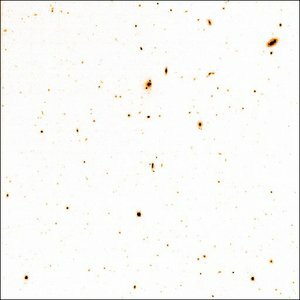 The detection limit of this image is about 25.5 mag, it is to be noticed that the CCD mounted in OIG is optimized for the blue spectral region.